Sooner or later, every perfume lover indulges in a Paris pilgrimage, clutching print-outs of the various itineraries posted by bloggers and in-the-know visitors. Now Osmoz has simplified the process by publishing an actual guide, Paris Parfum : The Fragrance Guide to Paris, now available on pre-order from their online shop. Speaking of which, the mainstream press is finally adressing the regulatory crisis : Grain de Musc reader and freelance journalist Véronique Hayoun has just published an in-depth look at IFRA, REACH and their impact in the Swiss French-language newspaper Le Temps, with input from the very outspoken Francis Thibaudeau, deputy director of Robertet’s perfumery division, who states that you’d have to spray on your favorite cologne 400 times before getting the same amount of orange essential oil on your hands you get from simply peeling an orange, Bertrand Duchaufour and Andy Tauer (notice it’s always the indies who speak up – they don’t have bosses to answer to). If you can struggle through the French, the article neatly summarizes the whole debate and is an important step in divulging it to the general public. After all, both Givaudan and Firmenich are Swiss companies..
One of the most intriguing aspects of the article, to me, is its considerations on the actual retail spaces, and this is where I’d be curious to have your input. We’ve all griped about ignorant, misguided S.A.s, but what about the actual stores? Presenting the perfumes, not by brand but by olfactory themes, as Victoria of Bois de Jasmin suggests in a recent post on a frustrating shopping experience? 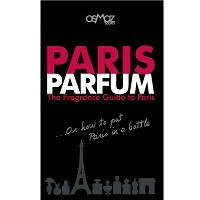 Now on to you: apart from a better training for SAs, what would turn your jaunt to the perfume aisles into a pleasure? Here in Germany, I've had a great experience shopping for perfumes. The SAs rarely know very much, but they have lots of testers and testing strips, glasses of coffee beans, mineral water, places to sit and chat, and they leave you alone if that's what you want. Of course, sales are rare and prices are cher. Perfumes are organized by brand, but with more space than I've seen in the US. And my local shop sells 3ml decants at a very reasonable price, and that really helps one to make decisions. Overall, I prefer the perfume shopping experience in Europe to the one I try to avoid in the US, especially at holiday time! I would like to start by rather proposing a solution perhaps commenting on the state of play at UK department stores. The problem of reorganising the fragrance hall of, say, Harrods is that the entire employment structure of the business changes- the individual companies employ their own S.A.s- a change to this changes the entire rental structure for the department store and would lead to lower returns. I was also recently told that training had been cut from two weeks at Harrods to just 3 days. But reorganising the fragrances by any other method would probably mean that department stores with many hundreds of fragrances would focus even more on the new releases because training a new S.A. would be very difficult. The kiosks are very hit and miss- entirely dependant on who serves you- but the best thing that can be done is to improve their training and once trained the ongoing communication with the staff- how is it that we often know more about what is coming than they do? Alexander, I'm wondering whether the fragrance industry would be able to arbitrage between declining sales and added training expenses which might boost them. I often get reports from readers about SAs who don't even know about their brand's upcoming launches. I can't imagine that information is so hard to broadcast! But as long as training budgets are cut, and companies just look at their quarterly balance sheet, they're driving straight into the wall... Perhaps they're counting on China, India and the Middle-East and leaving us to our devices? I like the sound of perfume shopping in Germany. Everyone's made very good points but my request would be for the department stores to be kept at a reasonable temperature too. They are so overheated that it isn't comfortable being in there at all, which doesn't encourage leisurely browsing and testing. Anna, whenever I go to Canada in the winter to see my family I boil in my coat, so I know what you mean about overheating! I've actually been working with an interior design class this semester whose class project is to create an ideal perfume boutique at a pre-existing (in real life) site chosen by the professor. The other "client" for the class is a professor of indoor air engineering specializing in indoor air pollution. It's been an extremely interesting project--I'll be doing a write-up for NST after we're done and I've had a chance to consolidate my thoughts. The IFRA article was very interesting. I'm curious as to whether French perfumes could be legally regarded more like French wine. (Imagine if an IFRA-type body got hold of the wine industry! That's a nightmare vision....)In other words, French perfumes would be protected as cultural heritage. Then warning labels could be used, but ingredients neither banned nor restricted. At least then, smaller, truly French houses without a huge distribution could create freely. I know megacorp P&G, and LVMH have a completely different viewpoint than L'AP or SL or AG, and could care less about cultural heritage. But if Mitsouko, L'Heure Bleue, Après l'Ondée, Tabac Blond, Diorissimo, Femme, etc. could be "exceptions culturelles" I'd be very happy indeed, and ready to pay more for them. That sounds like a great idea. Then the classics could have their warning labels and higher prices r/t their more expensive materials, but they would continue. But these days, common sense seems in very short supply...I wish M. Thibaudeau and Robertet luck, and if a letter writing campaign would help, you know where to find the perfumistas! Marla, they would continue, and even more, they would be restored to their former glory, inasmuch as the materials are still available... But the industry is notoriously inept when it comes to presenting a united front and campaigning. And as the campaigning would have to be on a European level, who else but the French houses have the clout? The history? The prestige? I discussed this last spring with someone from a great house and that's what he said, so... unless the French ministries of culture, industry and international commerce get behind this, it'll be rough going. 1) I received a black sleeve from the paris shopper when I bought something else. This sleeve was from the Hotel Costes and had the relaunched IUNX sprayed on a card inside. This has been the singular best way I've experienced a frag other than on skin-- and it's far better than trying it on skin in a store, when you are trying 10+ things. I think that every store should have this. The frag is in a sleeve, so the card stays untainted by other cards. And you put your nose inside and are SURROUNDED by the frag. I've never used the Malle sniffing machine, but I imagine the effect is similar. All stores should have this! I want to buy these for experiencing my personal collection. Plus, it's so chic! 2) SAs can "claim" me and take a commission on anything I buy-- but for the love of all things fragrant, please give me some space! I used to think that they hovered because they thought I was going to steal the tester; now I think that it's an aggressive and poorly executed sales technique. It's very interuptive of the purchasing process. Twice it has made me leave a store when I actually wanted to make a purchase but just felt too uncomfortable to stay. Imagine if you went to the grocery store and a store employee followed you around the store, holding onto your cart... It's ludicrous! 3) Since the SAs rarely know what's coming or can keep all the notes straight (there's a lot of data, so it's not their fault), why not cut straight to the consumer and just have a book of press releases that the manager puts new sheets into? Marketers spend tons of time and money trying to generate buzz on websites and in mags. Why not do it in the store? And instead of keeping the book behind the counter where we can't get to it, put them out in the store! Or do it digitally! (Sephora has a really low-fi version of this with notes and recs, and this is better by far than what you can get at Saks). 4) Final wish: stop putting testers behind the counter, especially in high end stores. Or at least, have a way for me to smell them all (ie: they will bring out a whole tray and then let me smell without hovering and telling me to buy it every time I spray). 5) So far, my best experience sniffing in stores was at Hermes. The sales associates were helpful, allowed me some space but came as soon as I looked up, and knew the product pretty well (though they didn't know about upcoming launches that were already being marketed online, like Iris Ukiyoe). Great experience. And she gave me a sample of something I hadn't tried as I walked out the door--- and I ended up buying it a few weeks later. Samples are really the best salesmen that they can employ in my opinion. Marla, i'm sure the Italians would agree: with a lot more heritage to preserve they spend 0.2% of their GDP on it against 1% for France. As far as perfume is concerned, it's never properly been considered as culture and this must necessarily come from the industry not wanting this to happen, unlike the fashion industry which built bridges with cultural institutions in the 80s. Gator Grad, i remember how smitten you were with those Iunx envelopes, but even classic blotter sleeves would an improvement on slipping inside one's diary, which ends being pretty smelly! A press book would be an excellent idea. All your suggestions are, actually. I'll address the shopping part. The best of going to a small perfume boutique is (presumably) the owner knows and cares about the merch and is invested in finding you something pleasing. Best of all worlds. Speaking as an American, my problem is that the boutique experience is difficult to have. Like it or not most of our perfume is encountered in a dept store, high end or low end. And thus invariably we run into problems -- folks pushing a fragrance because they're financially rewarded. Or, at the "good" stores, they only know Guerlain but not Armani. And people want different things in their shopping experience. Some people want a lot of help -- perhaps for themselves, perhaps the scent is a gift. Others (often me) would prefer to be left alone unless/until I look up and seek assistance. The SAs aren't mindreaders and I think it's incredibly difficult as a job. In theory I liked V's organizational idea, but ... gah, who's going to do the organizing? And what if you have no idea what you want? And what if you want to try, say, all the Guerlains because you want to explore the house? That's why all my samples are filed by house. 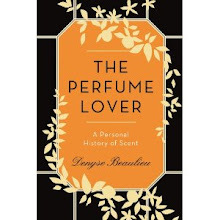 March, I see what you mean, but do you think that from the point of view of the non-perfume-geek, it's common to want to explore all the perfumes from a single house? I'm no marketer but I suppose that someone who steps into a department store or a Sephora will gravitate towards the brand he/she identifies with (say Prada or Calvin Klein) because there's just so much choice how else are you going to decide where to start? In the best of worlds -- and in Victoria's proposal, which is also the one made by the Fragrance Foundation UK for instance -- you'd have a sort of way of ascertaining where the customers' tastes take them -- a little questionnaire or something. There used to be one on Osmoz, don't know if it's still there. I'm sure a chain of perfume stores offering that type of service would do well: people are usually quite lost, and the better organized the system to guide them, the more you'd actually move the bottles off the shelves... I think. As an American and a newcomer to perfume, I have to say that the experience of trying to shop in person for perfume turned me off for a long time. I find the fragrance counters at department stores to be a completely overwhelming jumble. 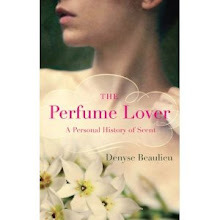 Without much perfume experience, I had no idea which brands to start with or where to look for scents I might like. The sales associates were rarely any help. They were happy to make suggestions, but the suggestions are more along the lines of what was most popular, rather than what I personally might like. Plus, I can only try a few perfumes before they start to overwhelm each other on my skin, which means that I need to start with ones I might like. I think I definitely would have given up in disgust by now, were it not for online perfume vendors like LuckyScent, where perfumes are categorized by type of scent and list individual notes. That, combined with extensive exploration of blogs like this one, has kept me happily sampling by mail for some time. However, I might reconsider department stores if the fragrances were organized by note or type of scent(unlike the earlier poster, I find organization by perfume house pretty much useless). Kit, you could say there's a general disaffection for shopping in brick and mortar stores vs. online (though one could never tell by the crowds on Oxford street or in the Galerie Lafayette, especially this time of year), not just for perfume. Except that perfume really does have to be experienced physically. Hence the sale of samples by Luckyscent, decants by the Perfumed Court, etc. I'd say, barring a complete reorganization of perfume counters which isn't likely to come, that a more generous sample policy would be a good thing. Our French Sephoras used to make them up when there were no brand samples. No longer. Big mistake. 1) An echo of everyone else's statements about samples. If the industry wants us to shell out hard-earned cash for what are relatively expensive products, we ought to be allowed to try before we buy. In fact, I would be quite happy to pay for 1 or 2ml vials of perfume. 2) I know I moan about SAs as much as everyone else, but I just thought it might be worth mentioning that, essentially, I think perfume shopping is tremendously enjoyable. I know there's room for improvement, but more often than not, it's great fun, right? Persolaise, I think samples -- even paying samples -- would go a long way into helping customers make an informed choice. After all, it's more important to live a couple of days with a fragrance than to have an SA rattle off notes. I'd say the unpleasantness associated with perfume shopping experiences, apart from tactless or heavy-handed sales staff, is the olfactory din: you're just assaulted by such a mix! I remember once, when I ran out of blotters during a perfume course, my students went out to nab some from Liberty's and John Lewis during lunch hour. Not one of those blotters was uncontaminated... Imagine our clothes, hair and skin when we walk the gauntlet! I'd love to go back in time just to the late 80's or early 90's when my local department store carried a full range of pre-LVMH Guerlains, you could buy extrait bottles for most of the leading perfumes of the day; new releases were for adult women not pre-pubescent pink princesses. ... Apart from the low quality of modern offerings, the biggest factor for me in abandoning the shops for the net, is the total hype and sensory overload with each counter trying to outdo the next with aggressive SA's and worst of all the music. Even the local Boots, once a bastion of quiet browsing has now got Benefit which was blasting out rap music at full volume - Chanel lost a large make up sale from me because I couldnt stand it any longer and just walked out. All we want is decent products, in a full range, peace and quiet to browse....... Now I sound old! Anonymous, you and I both... Loud music is a definite deterrent to me. Maybe it's meant to mask poor quality products as much as to "attract" customers? What I *do* like about browsing in person rather than online is that I can already make a bit of a sorting between the things I need samples of, and the things I really needn't bother with, but that's the advantage of living in a capital, and online vendors have been a blessing to those who don't... probably the majority of perfume lovers. Carla, I'm delighted my guide was useful to you and your friends. I haven't looked at the one published by Osmoz yet but I think it will be very practical as well, and certainly more complete. About cultural differences in selling styles, I'm reminded of my visit to the Salons du Palais Royal with the fellow blogger Nathan Branch. As I was chatting with the staff, he was relieved because he thought I was deflecting their attention so that he could browse in peace. It wasn't the case since in this type of high-end shop in France no one pressures you, ever. Especially at Serge Lutens', as you'll have noticed! Americans are often daunted, as you say, when visiting Paris, but they shouldn't be. I've learned not to let the more serious European demeanor make me hesitate, in shops or in restaurants. (Famous crusty Parisian waiters!) My experience is richer for it. One word of advice for American visitors to Paris and also to the provinces: say bonjour to the SA upon entering the perfume shop, or any shop. I would like to see more variety of products rather than the same commercial swill everywhere, and sales people who work on commission and thus are overly aggressive should be banned.